For peace of mind & saving you time and money. The ever present and rising chance of theft. Ordering late and running out. Paying too much for your fuel. Being able to safe guard your oil and monitor your oil consumption is an important part of managing your budget, saving costs and helping you to buy at the right time. You may have seen that "smart meters" are now being installed for monitoring electricity and gas usage; this technology is now available for heating oil consumers. The SmartGuard will tell you how much heating oil you have left and approximately how many days supply this equates to. The SmartGuard also helps you to optimise your heating settings - just adjust the setting of your thermostat to see how this will affect your consumption. This can prove particularly useful, with weather varying over short periods of time, to help prevent you running out then having difficulty securing a delivery due to high demand and road conditions and having to pay premium prices which are linked to demand. The SmartGuard enables you to make better informed buying decisions, answering questions such as "how much oil am I using per day?" and "how long will this level last me?". 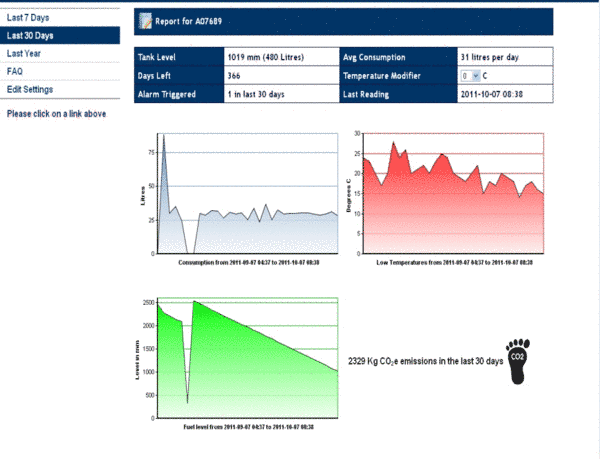 It enables you to plan your heating oil buying, avoiding peak times of demand and helping you to get the best price. Just as important is the SmartGuard alarm. The SmartGuard continually monitors your oil level and if it detects any unusual drop in level it will automatically send you an SMS text message and/or email, alerting you to a possible theft in progress or leakage. So how does SmartGuard work? The SmartGuard sends data to an online service which translates this information into a clear concise reports for you. How do access my SmartGuard information? Once installed your login details provide access to your SmartGuard reports over the web, wherever you may be. Even when you don't have internet access you can receive the SMS text message alerts. How easy is the SmartGuard installation? 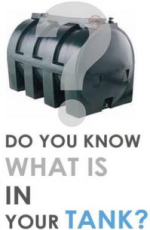 SmartGuard is designed to fit the industry standard mounting point of most plastic oil storage tanks. For steel tanks you simply need to drill a small hole in the top and full installation instructions are included with SmartGuard. What is the warranty period of the SmartGuard product? As it utilises proven robust technology, SmartGuard comes with five year return to base warranty. What information do I need when ordering SmartGuard? 5) Type of home that the tank supplies. © 2014-2019 ~ All rights reserved.